The Irish pubs of Spain are renowned for their live Irish music, friendly Irish atmosphere, shamrocks, happy faces and an endless supply of Guinness. They create a unique Irish experience merged with a locally Spanish vibe. Enjoy a cooked Irish meal or relax with a drink while enjoying live musicians playing classic Irish music. Irish pubs in Spain buzz with an international mix of friendly faces along with qualified staff ready for some “craic”. We’ve tried and tested a few such “Irish public houses” in an effort to create the ultimate sports weekend with that special Irish twist. We’re delighted to present our “Ultimate Barcelona Sports Weekend” this St. Patricks Weekend. Golfers and Sports minded individuals to join us this March in Barcelona. With average annual temperatures of between 18 and 23 degrees Celsius and over thirty-seven superb golf courses, Catalonia is the ideal golfing destination. This March, golfers from all over Europe will be able to play on three superb golf courses: Llavaneres Golf, PGA Catalunya and Real Club de Golf El Prat – with the latter two hosting the 2014 and 2015 Spanish Opens respectfully. Taking place from Saturday 15th to Tuesday 18th March 2014, the players will be based in the town of Mataró, a lively fishing town 30 Km north of Barcelona. This unique “Sports Weekend” will offer three super games of championship golf and attendance at a Barcelona league game at Camp Nou. We’ve also thrown in a visit to a local vineyard to cap it all off. Catalonia is one of seventeen autonomous communities in the Kingdom of Spain. Catalonia itself is divided into four provinces: Barcelona, Girona, Lleida and Tarragona. Often described as one of the most naturally beautiful parts of Europe, Catalonia is bordered by the Alpine peaks and ski resorts of the North, the fruit growing countryside of Aragon to the West, the Valencian municipalities to the South, and by 580km of coastline and the Mediterranean Sea to the East. The main languages are Spanish and Catalan. The Capital of Catalonia is Barcelona, one of the Worlds leading tourist, economic and cultural centres and home to the architectural wonders of Gaudi. A giant in European Tourism, Barcelona boasts a vast array of parks, museums, monuments and beaches. To the North lies the province of Girona and the renowned Costa Brava coastline. Here you will find a rugged coastline of crystal waters and excellent beaches. Tourism has replaced fishing as the main industry, but the small fishing villages that are dotted along the coastline add to its unique charm. The province of Tarragona to the South is rich with historical splendours including medieval walls and the remains of a Roman aqueduct. It is also home to the spectacular Costa Daurada coastline and the main holiday resort of Salou. International Airports in Catalonia are located at Barcelona, Girona (North) and Reus (South). PGA de Catalunya is a truly stunning course with the Pyrenees as a backdrop, which only adds to its magic. It was designed by Neil Coles and Angel Gallardo and after only opening at the end of 1998, has already hosted the Sarazen World Open in 1999 and the Spanish Open in 2000, the only course to host two European Tour events within 10 months of opening. In November 2008 the finals of the European Tour Qualifying School were held on both the Stadium and Tour Courses and nine years later history was repeated when the PGA Catalunya once again held the Spanish Open in April 2009. It receives much praise from international press and was voted as Spain’s #1 Course in 2012 and again in 2013. Founded in 1945, Llavaneres is the fourth oldest private golf club in Catalonia. Initially built only as a 9-hole course, it has been extended and new facilities were added to give it the characteristics of an established club. Its location allows for stunning views, overlooking the Mediterranean to the east, and the coastal mountain ranges to the west. El Maresme has a very advantageous climate which gives golfers the opportunity to play most days of the year and also appreciate its magnificent, natural gardens as they walk around the course. Although only a short course, it provides a challenge to golfers of all abilities. The newly renovated clubhouse includes a bar-restaurant, pro shop, lounge and games room and the balcony provides a fantastic place to sit back and relax after a round of golf whilst looking out over the sea. The Real Club de Golf El Prat Golf course comprising of 45-holes and designed by Greg Norman is set in beautiful rolling countryside on the outskirts of Barcelona. It also has a public school and 9-hole course. Like any Championship course, it aims to test the golfers’ ability. El Real Club de Golf El Prat is an exclusive and private club, but arrangements can be made to play here and we are delighted to include it as one of our three venues. In May 2011, Real Club de Golf El Prat was the venue for the Spanish Open 2011 and it’ll host this European Tour event again in 2015, thus highlighting its Championship calibre. 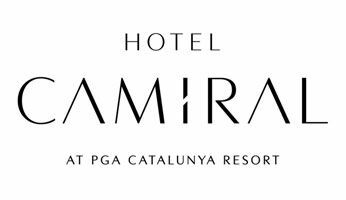 This new hotel is located in the port of the seaside town of Mataró, 30 Km north of Barcelona. Atenea Port Mataro Hotel has 95 rooms with sea views. The hotel Atenea Port Mataro has the Nuus restaurant with elaborate gastronomy immersed in different ambiances, a cafeteria, cocktail bar and five meeting rooms seating from 10 to 400 people for holding meetings and banquets. New hotel in Mataro with Garden and private swimming pool and a spacious terrace with sea views. The Wellness SPA with a public entrance has a dynamic swimming pool, steam bath, nebulised shower, massage area and fitness and bodybuilding equipment. SATURDAY 15TH MARCH – Golfers Arrive & Transfer to Hotel. SUNDAY 16TH MARCH – Play PGA Catalunya. MONDAY 17TH MARCH – Play El Prat & Celebrate St. Patricks Day in Irish Bar. TUESDAY 18TH MARCH – Play Llavaneres Golf. WEDNEDSAY 19TH MARCH – Golfers Depart & Transfer to Airport. Great information on Barcelona golfing. I think I like PGA DE CATALUNYA. It’s beautiful there.